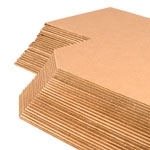 Size/Shape - 25" x 25"
These Champion Deer X-Ray targets are perfect for training up-and-coming hunters as well for knocking the rust off for seasoned venison veterans. 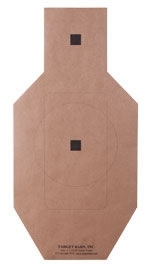 These paper targets measure 25 inches by 25 inches and are great at both indoor and outdoor ranges. 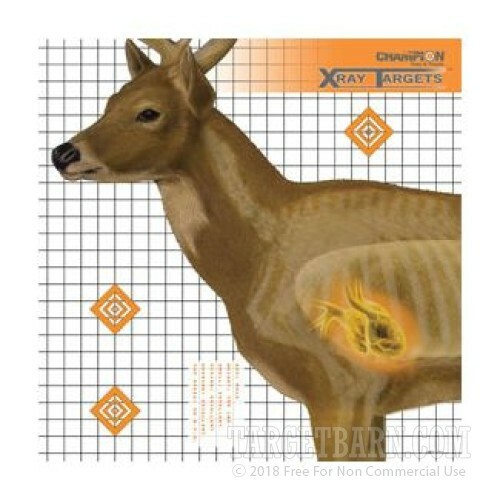 The shooting surface features a photo-realistic deer with a highlighted transparency of heart and lungs placement for practicing vital shots. 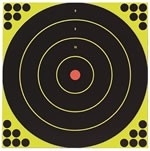 The target promotes visualization and helps instruct a new hunter on proper shot placement while reinforcing the allowable margin of error. 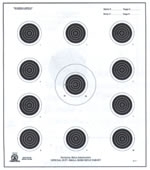 The shooting surface also features three diamond portions for confirming your zero as well as a grid of 1 inch squares to aid in making adjustments or measuring groups.